Thousands of activists hit the streets on Tuesday near Chennai's MA Chidambaram or Chepauk Stadium to call for a boycott of the IPL cricket match between Chennai Super Kings and Kolkata Knight Riders. Political parties and fringe groups have demanded the cancellation of all seven IPL matches to be held in Chennai till the centre forms the Cauvery water management board. Empty galleries, they are hoping, will send a strong message to the centre. Tuesday's match, however, started duly at 8 pm amid heavy police presence in and around the packed stadium. Through the day, nearly 4,000 police personnel kept vigil in the area. 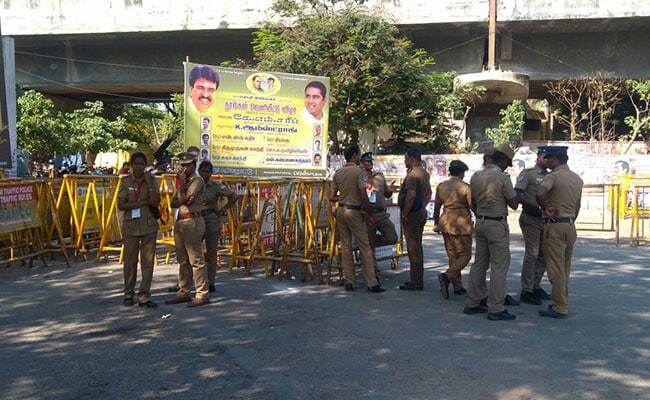 Despite the tight security, reports emerged of protesters forcing fans out of their CSK jerseys. In some areas, some fans were reportedly roughed up. Since Tuesday morning, hundreds had gathered at Anna Salai - an arterial road barely a kilometre from the stadium and one of the most prominent spots in the city. The protesters moved in groups, trying to evade the police and make their way to the stadium, throwing traffic completely out of gear. Some released black balloons into the sky as a mark of protest. The police was forced to take many into custody. Calling IPL matches in Chennai amid widespread Cauvery protests an "embarrassment", actor-politician Rajinikanth had, on Sunday, said, "If they don't cancel, they should at least allow players and spectators to wear black badges." Division of the waters of the Cauvery river has been a matter of a decades-old dispute between Tamil Nadu and Karnataka. From time to time, Karnataka has refused to release waters, citing inadequate monsoons and dearth of drinking water in key cities including state capital Bengaluru. In February, the Supreme Court largely upheld the Cauvery Tribunal's verdict and suggested a division formula, which gives Tamil Nadu a smaller but assured share by the constitution of the Cauvery Management Board. The court suggested that the centre devise a "scheme" to implement it. The matter has now been politicised, with Karnataka heading for assembly elections in May. The deadline for forming the neutral body was March 29. 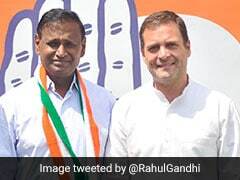 As the deadline passed without any action from the centre, politicians from Tamil Nadu, cutting across party lines, accused the BJP of trying to score political points in Karnataka. For days, lawmakers of the ruling AIADMK have held protests in parliament, derailing all work scheduled for the second half of the budget session. The state has also taken the centre to Supreme Court, accusing it of contempt of court orders. On Monday, the top court reprimanded the centre for ignoring its orders and suggested that it had acted with guile. In a petition filed last month, the centre had sought clarifications on the structure of the regulatory body. Citing the upcoming elections in Karnataka, it had also asked for more time to work out the modalities. The court has directed the centre to inform by May 3 how it plans to implement the water-sharing formula.